Whenever you change the paint of your furniture or house, you need the best paint stripper to completely remove the older paint before you start painting. Removing paint isn’t simple straightforward job. First you start by trying to preserve the old paint job however sanding or scraping the loose or weak area and re-priming and then coating paint on top needs some serious considerations. After year, flaking and chipping may start again and then you realize it is better to remove everything and begin with blank slate or pristine smooth surface. Removing the paint of your house need a consideration of lead paint residue. As It is common thing to have layer upon the layers, the lead which builds up is not unimportant. This simply means that one should be careful while handling old paints and ensure to dispose it properly. There are 3 ways to eliminate old paint, applying heat, grind it down, or use some chemicals to remove older bonds. 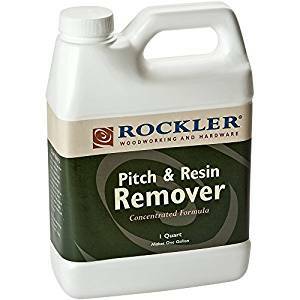 Best paint stripper or remover can work with all 3 methods. To remove paint by grinding you need to put intensive labor of 3. It needs a power sanding disk or sanding clapboard and lots of physical labor. Although it is cheap and efficient method, it is risky because for those who don’t have experience can damage the wood as well as spray the dust everywhere. Also you must be capable to handle loud screeching noises made by the scraping machine. 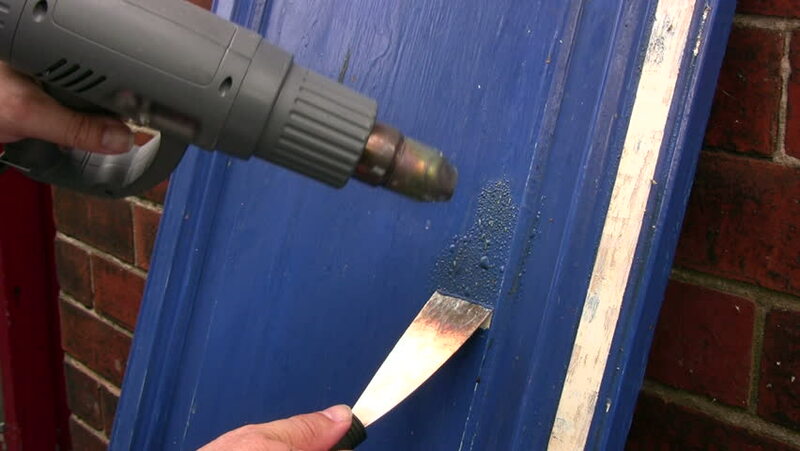 Heat is also used to remove paint. Usually heat guns or blow torches are used to apply the heat. Blow torches works with naked flame while heat guns works like hair dryers. Heat guns are better because of lesser fire hazard risk. If there are multiple layers of paint and you need to work by softening bonds in paint you must prefer heat guns. You still need to scrap off paint manually afterwards, however process is bit easier. Chemical strippers are best because they are safer and easier than other two options. 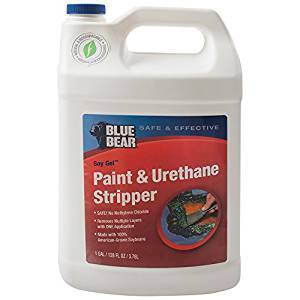 Chemicals strippers are solvents which break bond between substrate and paint. Generally these chemicals are applied to the paint and left for some time to allow reaction. Afterwards, you easily scrap the paint off. 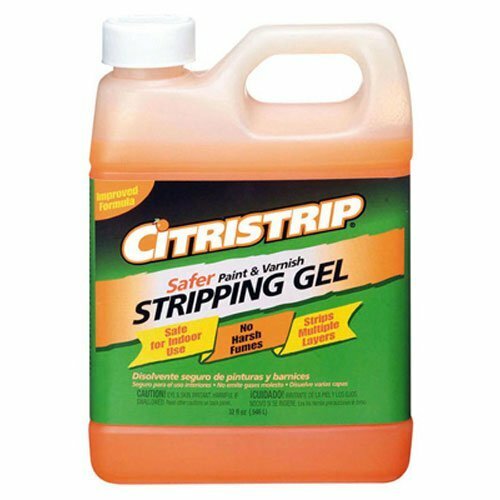 Citri Strip paint is the best chemical based paint remover. It’s chemical is safe and doesn’t react with skin and release harsh fumes. It has orange like smells and very easy to apply as compared to other chemical based paint strippers. Just brush on thin layer and wait for an hour to get chemical dry and react with paint. Then by the help of scraper or wedge simply scrape it with one stroke. The paint comes of like butter and end result is a kind of gel gooey texture. Best thing about it is that you can simply get those hard to reach areas such as small corners on furniture which a heat gun or paint grinder never be able to. 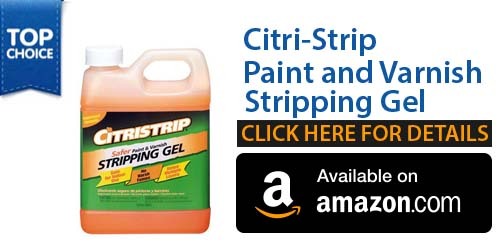 In contrast to other chemical paint strippers, Citri-Strip has right combination of safety and efficiency. 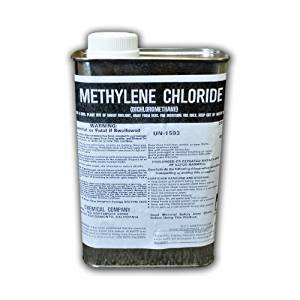 Chemical used is industrial grade which removes paint much cleaner and effective to remove enamel, latex, epoxy, and other types of coating on stone, wood, metal and walls. It is the only one of its kind that completely removes all the varnish and paint on one go. Other brands leaves the traces of paint, which become annoying to scrape off. The only thing which you have to bother is time and patience. Overall it is the best paint stripper. 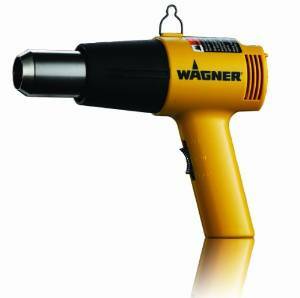 Wagner Paint Eater is the safe and cost effective way to remove paint form wood. It include a rotor which grind away the paint with the help of 3M spun Fiber disks. Rotor gives 3.2 amps at 2600 RPM, which is enough to dislodge most if not all the surfaces keeping the substrate unbroken. 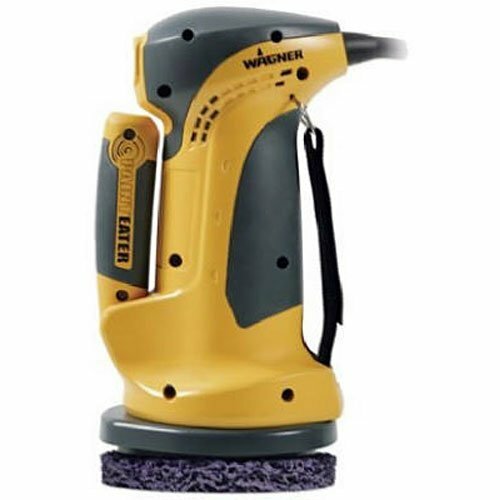 It is just a one-step paint remover and what you need to do is to hook it to power source and start grinding. It smoothly trim, substrate and make your old paint fall off easily. It is under 4 pounds so you can easily handle it with one hand. It is a very versatile gadget which never makes you feel fatigue when you hold it for the longer period of time. It has a cool 3 M flex-Disc mechanism that makes it possible to handle both curved and flat spaces. Its compact size also allows you to handle the hard to reach edges and beneath lap sides. Its disk can easily glide over screws, nails and rough spots to minimize the buildup of dust and paint. As compared to other options Wagner is the best. Although there are more powerful devices that spin at high RPM, those are relatively expensive, louder, dangerous, noisier as well as tiring. You may have to grind a spot twice to ensure the entire removal, but it is still the lesser work that you need to do with the heavy equipment weighing 20 to 30 pounds. We cannot stress that whether or not weight and portability matters in paint jobs, however a household never like to deal with heavy machineries, tiring jobs and risks of self-injuries. Wagner Paint Eater gives enough revs and amps per minute to strip paint from most of the palaces. You have to work little bit on certain areas but overall this product is a great value. Wagner is best paint remover that can also bend plastic, thaw frozen pipes and loosen rusted bolts. It is a heat gun that produces 1200 watts per 4100 BTU of heating power. It has temperature of 750 to 1000 Degree Fahrenheit to allow for low as well as high heat settings. 1000 degree is recommended for stripping the paint. For those who like to do everything by themselves, this one is the best option. It is easy to operate, simply plug the gun, set right temperature, point at paint you want to strip and press the trigger. There isn’t any need to hold gun right on surface. A couple of centimeter away is enough to transfer the heat to the target. It takes few minutes and you will see paint blistering and bubbling. After this tear the paint off with your hands. However be careful to wear gloves and mask to stay safe from fumes of paint. Also don’t point it on a same spot for long as it may damage that surface. Wagner is extremely efficient and within few minutes it soften the paints which gets peel like butter. But there are many risks such as burning yourself and your accessories, inhaling the heavy fumes. By wearing right protection you can minimize these risk for good. Smart strip by Peel Away is an innovative paint stripper which is safe for environment, user and any substrate. Smart Strip is formulated without using methylene chloride and therefore it is non-toxic, non-carcinogenic, and non-caustic as well. 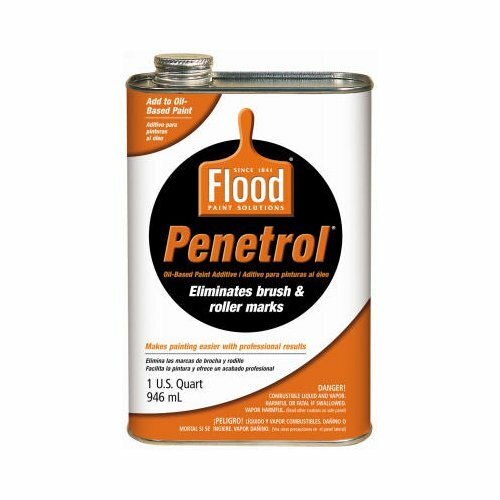 It is a water-based paint stripper that will effectively strip around 15 coats of nearly all coatings like water-based, oil-based, varnishes, acrylics, urethanes and even older lead paints from exterior or interior surfaces of brick, wood, stone, plaster, concrete, plastic, metal, fiberglass, glass, etc. It is user friendly, odor free, has zero VOCs, 100% biodegradable and a pH balanced formula. 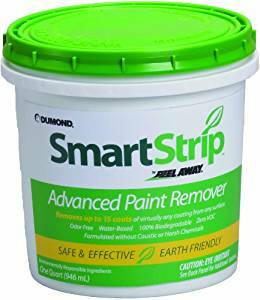 Smart Strip is a water-based formula paste which can be applied easily by roller, brush, or by conventional airless sprays. Allow it to reside on coatings for around 3 to 24 hours, depending on type and number of coats being removed. It remains wet and in effect over longer period of time and doesn’t need Peel Away Papers. As it dwell completely, remove paste and lifted/softened paint by a scraper and remaining residue with sponge and water or by power wash. You also don’t need to neutralize stripped surface. It comes in 1-Quarter can. Klean-Strip Premium Stripper is one of the most powerful strippers that are good to perform the toughest stripping jobs. Klean-strip can strip multiple layers of oil-based and latex paints, epoxy, polyurethane, shellac and varnish from metal, wood, and masonries. It removes most if not all coatings within 15 minutes. You can use it with the help of all types of brushes and rollers. This paste clings to vertical surfaces without drips and runs. 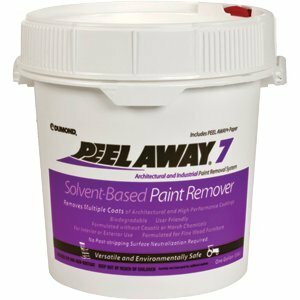 Klean-Strip solvent and thinner is mixed in wet paint, stain, varnishes and all other finishes in order to weaken their consistency and then thin them out. It is also great for cleanup. Klean-Strip Paint Stripper are just like elbow grease inside a can. 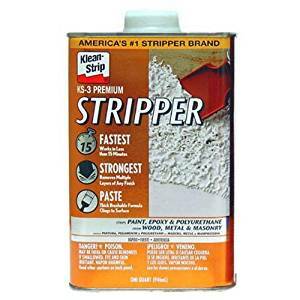 They are formulated for professional grade use for stripping even several years old paints, remove heavy-duty spills, to give your house a second chance.